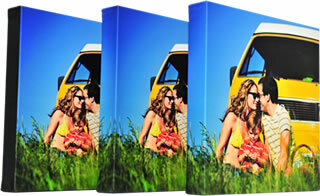 Looking for just the right options for your custom canvas? You’ve come to the right place. Give your canvas print an edge treatment guaranteed to land double takes. Overwhelmed? Take the pressure off you and slap it on an expert. A sleight of hand to make your image gallery wrap-ready, “Reflected Edges” preserve the original composition of your image on the face of the finished canvas. 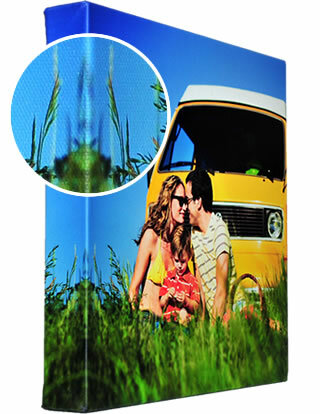 The outermost portions of your image (at the top, bottom and sides) are “reflected” to create additional image specifically for the canvas wrap edges. Sometimes you just want to color outside the lines. When you choose “Color Edges,” we’ll apply any color you like to the edges of your wrapped canvas. 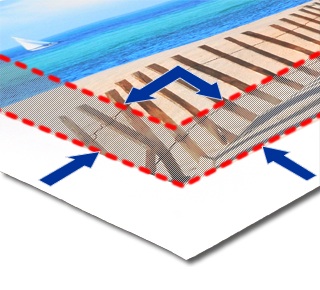 If you want to stretch your own canvas wraps, then you’re going to need some extra image beyond the “live area” for the edges of your frame. 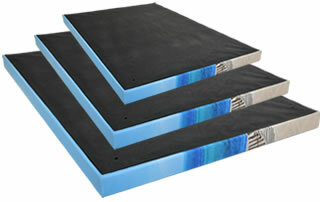 We’ll serve it right up when you order your canvases “Unstretched” and tell us the depth of your stretcher frames. And we’ll still give you our customary 2” of additional unprinted margins on all four sides so you’ll have plenty of extra canvas to grab with your pliers. We’ve got your back — your canvas back that is — with dust covers for your canvas wraps, and even easel backs that let them take a load off when on tabletops or mantels. 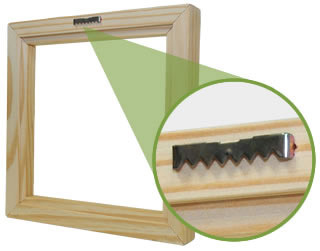 Durable black backing material firmly adhered to the backside of the stretcher frame to within 1/4-inch of the edges – concealing the stretcher bars, canvas and staples. 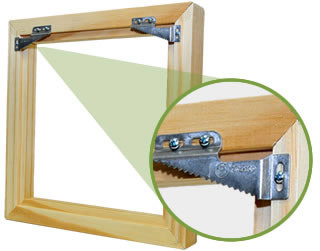 One or two sawtooth hangers (depending on canvas size) attached to the top edge of the backside of the stretcher frame. The finished canvas is ready to hang right out of the box. Clear rubber bumpers adhered to the two bottom corners on the backside of the stretcher frame to balance the off-the-wall distance created by attachment of the sawtooth hanger(s). The bumpers also resist movement of the canvas against the surface upon which it is hung. Four discreet, strategically placed holes (approx. 1/4-inch in diameter) in the dust cover to allow air to circulate and reduce the possibility of a potentially damaging microenvironment between the canvas and the backing material. 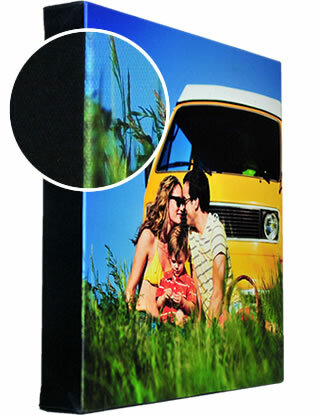 Let your canvas take a load off – with as much pazazz as a picture frame! 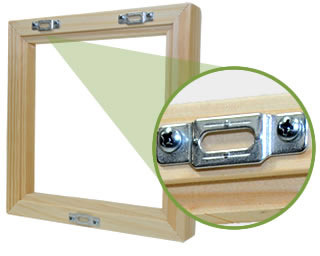 Removable easel backing (with hidden hanging hardware) means you can hang your canvas anytime. Every APC canvas wrap arrives ready to hang with standard hanging hardware installed, consisting of sawtooth hanger(s) and clear rubber bumpers that offset the hangers, protect your walls, and stabilize your canvas. But if you’re looking for something different, we also offer three premium hardware options to meet your needs. If you’d like a traditional hanging wire for your canvas wraps, select the Hanging Wire option and we’ll expertly attach one for you. This ingenious new hanging system helps you nail a perfect installation every time! 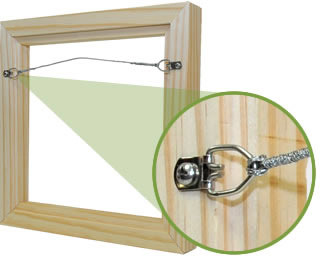 Forget about those level, precisely measured marks you usually need to position picture hooks for a large piece of art. Our Self-Leveling Hangers allow a pretty big margin of error in both horizontal and vertical nail placement, so now you can pretty much “eyeball it” — and you'll still end up with a perfectly level installation! 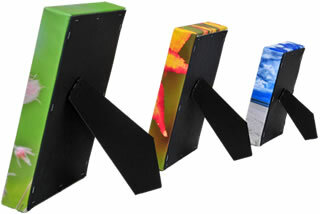 Ideal for all panoramas and any gallery wrap exceeding 24" in width. 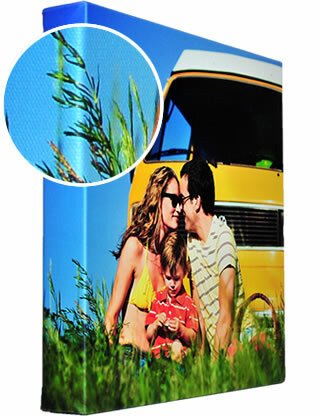 Keep your canvas on lock down in areas where sticky fingers or high traffic are a concern. When you choose the Security Hanging Hardware option, we’ll prepare your canvas accordingly and supply the additional hardware you need for a totally secure installation. Digital proofs aren't customary since we carefully check each image to make sure it’s well suited to its canvas or metal print order before it's ever created. We also aim to ship every order within 2 – 4 days of receiving it. But we also want you to be elated with your canvas print. So if you want a digital proof before we make your canvas print you can request one in Step 4 of the Create a Canvas process. Listen up pro photographers and artists – we can ship directly to your customers and include your marketing materials — all the while saving you time and money. 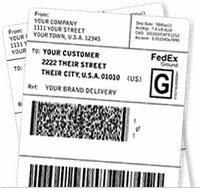 Your name, company name (if applicable), and address will appear on the return address label of your order's shipping carton(s) — instead of ours. 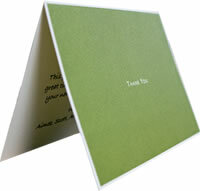 Our branding won't appear on print backs, stretcher frame(s), dust cover(s) or any enclosed materials. We’ll include up to four ounces of your promotional items such as business cards, Certificates of Authenticity, catalogs/brochures, invoices/packing slips or other items you supply. We’ll keep the materials you provide on file, include them with your shipments, and notify you when your stock runs low. We'll even print up to two custom 8.5 x 11 color enclosures for each order if you supply them in PDF format within 24 hours of order placement. Put the cherry on top of your thoughtful custom printed gift — whether you’re celebrating a birthday, anniversary, holiday or other special occasion.